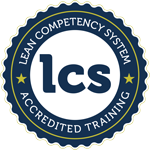 Ever wondered what Lean is, why people use it or how it applies to your sector? This course will help you understand the history of Lean, how to apply the principles of Lean Production in different environments and how to improve your internal processes. We will then use the principles of Lean Consumption to understand your external processes and the effort your customers have to exert to use your services. How to engage your people to work together to continuously improve their products and services. This course builds on ‘Lean Awareness’ to give practical experience of how to engage staff in improving the processes of creating and delivering products or services. You will understand the customer journey in order to provide excellent customer service and high quality at affordable costs using team based process improvement in 5 steps: Define, Measure, Analyse, Improve and Control. How do you achieve excellent service for your customers and reduce complaints? This course covers the concept of customer demand split into ‘value demand’ and ‘failure demand’, you will understand the ‘Voice of the Customer’ and the principles of Lean Consumption to reduce the effort a customer has to exert to use your services and in turn improve service levels and customer satisfaction. In addition, it covers improved complaints handling, ‘true’ root cause analysis and most importantly how to link these back to improvement activities that prevent them happening again and again. Why is change so poorly handled, badly implemented and rarely creates behaviour change? The course covers the drivers for change, how to change organisational culture, Kotter’s 8-step process, the impact of change on people, the emotional and rational responses they have to change, the factors that lie behind resistance to change and how to gain staff engagement, support and buy-in so that any transition can be successfully embedded so that it becomes the new ‘way we do things round here’. Complete the form above to register your interest in attending the workshops and we will contact you to discuss dates and availability in your area. 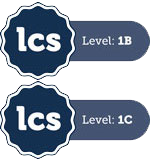 These courses can be run in-house for groups of 7 or more for more effective team-based learning and discounted rates.